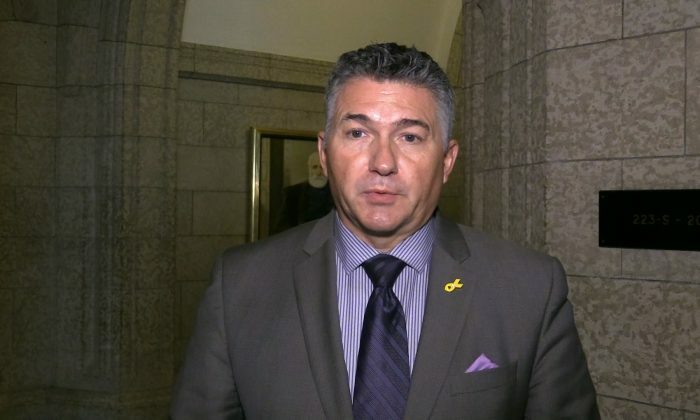 OTTAWA—Conservative MP James Bezan says a Magnitsky-style bill that passed in Canada’s House of Commons on Oct. 4 doesn’t just target Russian officials, but all those around the world who abuse human rights. “This is also targeted at other human rights violators that we are seeing right now, like President [Nicolas] Maduro in Venezuela as he takes away food from his own people and imprisons political opponents; what we see in China, harvesting organs from Falun Gong practitioners; and also what we’ve witnessed in Vietnam; and in Iran, with the persecution of ethnic and religious minorities,” Bezan said in an interview. The Magnitsky Act, or Justice for Victims of Corrupt Foreign Officials Act, now needs to be passed by the Senate before receiving royal assent and becoming law. Bezan says he expects that to happen by the end of October. A Senate version of Bezan’s bill, written by Senator Raynell Andreychuk, received government support in May, which helped to push it through the House of Commons. Russia has already threatened retaliation over the bill, with Russian foreign ministry spokeswoman Maria Zakharova saying “any anti-Russian actions by the Canadian authorities will not be left without an adequate response,” according to Reuters. The Magnitsky bill is named after Russian lawyer Sergei Magnitsky who uncovered the largest tax fraud in his country’s history and was subsequently detained for a year in a Moscow prison and eventually died under torture in 2009. Under the legislation, individuals responsible for human rights violations similar to those that occurred in Magnitsky’s case can be sanctioned. Other jurisdictions, including the United States, U.K., and Estonia have also enacted their versions of a Magnitsky act. Bezan says Russian officials should have no reason for if they are acting based on democratic principles and respect for human rights. “This will ensure that Canada’s foreign policy toolbox is effective and fit for purpose in today’s international environment,” she said in a statement.